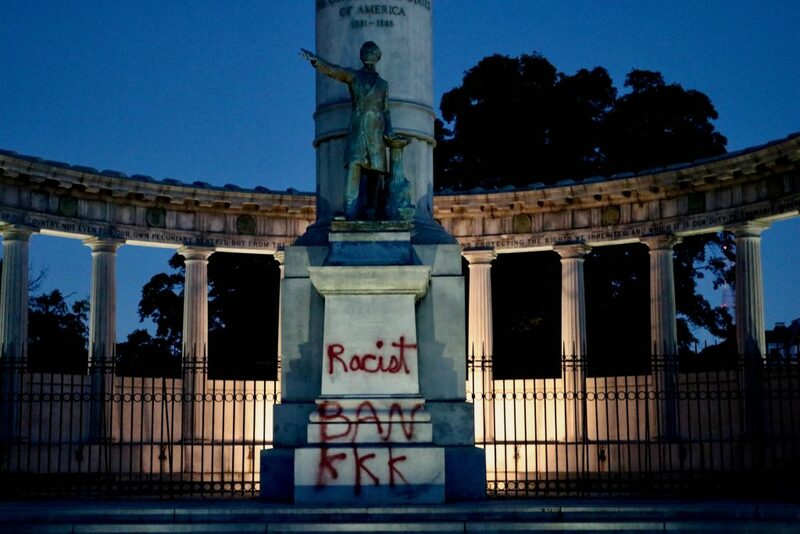 The statue celebrating Jefferson Davis on Monument Avenue has been tagged with “racist” for the second time in as many days, after crews from Virginia Beach cleaned the same word from a previous tagging late Monday night. 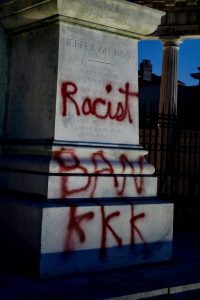 This time, however, the penmanship was better and a second line was added along the bottom of the pedestal with the words “Ban KKK.” Another Confederate monument was vandalized in Norfolk, Virginia, also with red spray paint, reading “#2 Better Luck Never.” It’s a reference to the idea that Confederate monuments serve as participation trophies, a phrase that first emerged as criticism of youth culture before developing into a general weapon in culture war debates. 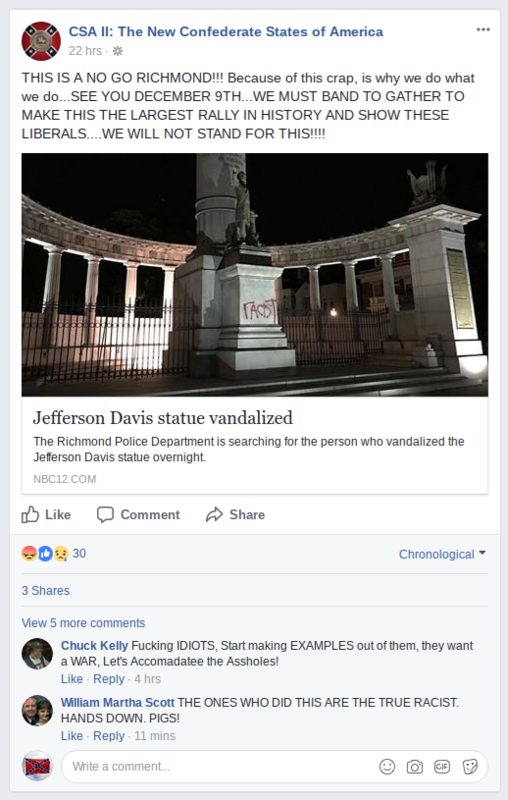 All of this comes after a tense summer with an over-hyped neo-Confederate rally and a long-postponed discussion in Richmond about Monument Avenue and the Confederate statues. A resolution from Councilman Michael Jones on the statues was scheduled for discussion on Monday but postponed, similarly to the meetings of the Monument Avenue Commission, which is tasked with leading discussions on contextualization of the statues or even removal. The Commission held only one of its scheduled meetings, which was a constrained but often contentious and raucous debate. The commission’s future meetings have been postponed until a few days after the upcoming election on November 7. The next meeting, which will not allow open comment or discussion, will be held on Nov. 14 at 6 pm at the Library of Virginia. At least one group says the graffiti has spurred them to new action; the CSA II group, previously responsible for the aforementioned neo-Confederate rally, says the graffiti is a “no go,” using it as a justification for their next planned rally on December 9th.